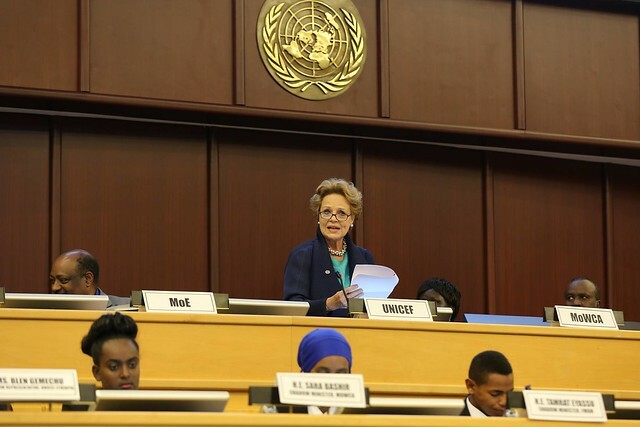 ADDIS ABABA, 9 OCTOBER 2017: In October 2017, UNICEF Ambassador Alyssa Milano sparked the viral campaign, “me too,” where she asked those who had been victims of sexual abuse to say #metoo via social media. With the goal to show the scale of the issue, the campaign shocked the world as millions of women, girls, men and boys participated. 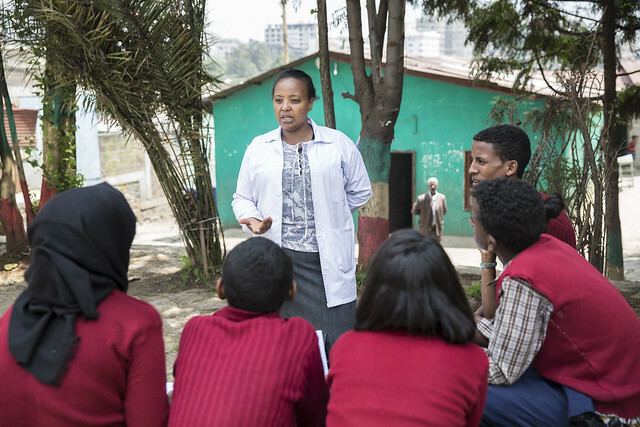 In Ethiopia, Konjit, a 14-year-old eighth-grader who attends a junior-secondary school in Addis Ababa, is one of these brave girls who spoke out on sexual assault. Last year, one of her closest friends confided in Konjit and told her that their teacher had been sexually abusing her. Konjit, being a member of the school gender club knew what the teacher was doing was illegal. At her weekly club meetings, she was taught about the code-of-conduct which clearly states that those acts were punishable by school law. After discussing with her friend, Konjit decided to bring the case to the gender club to discuss what steps they needed to take to punish the teacher and stop the abuse from continuing. The word began to spread to other classmates. More girls began speaking out to say, “me too.” They were first quiet for fear and shame, but once one girl bravely spoke out they too found the courage to tell their story. As one can imagine, this was not the safest of times for the girls for fear that the teacher would find out and do more harm. “It was scary for us because if he saw us together he may know what we were up to. We were all so afraid of the teacher,” said Konjit. However, this did not stop them. Konjit and other gender club members were determined to help their friends. In the end they found out that at least 9 girls were sexually abused by the same teacher, some at more severe levels than others. 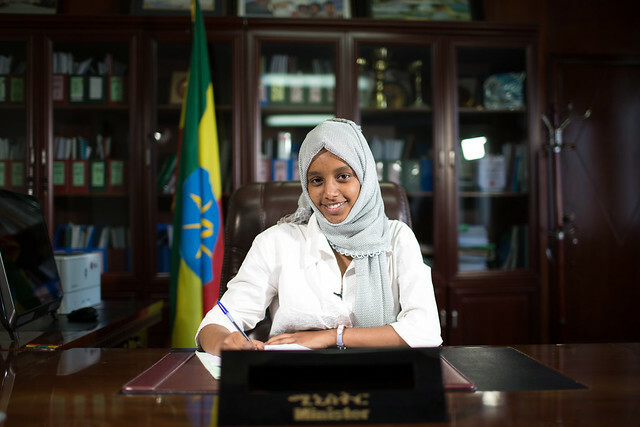 With support from the school’s Vice Director, Ms Netsanet Abebe, the gender club brought written statements from the victims as evidence to the school’s Gender-Based Violence Prevention and Response Code of Conduct Committee who referenced the chapter that leads to severe types of misconduct. The committee unanimously made the decision to dismiss the teacher. The school also referred the case to the justice department for legal action where the teacher was then convicted in court and sent to jail for his actions. If the incidents happened only a few years earlier, the teacher would have gotten away with his actions. 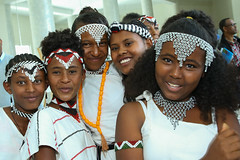 However, two years ago UNICEF began supporting the Ethiopian Ministry of Education to develop a national code-of-conduct, build a system to report on gender-based violence and abuse, strengthen the capacity of gender clubs to put reporting channels in place, as well as incorporate men and boys into the clubs so that they can also play a central role in combatting gender-based violence. The name has been changed due to confidentiality issues. 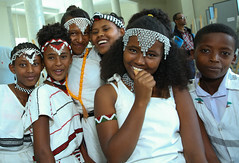 Ethiopian primary school stretches for 8 years, from grade 1 – 8. Grades 7 and 8 could also be known as ‘junior secondary school’. The official age of school entry is 7 years. NEW YORK/GENEVA/ADDIS ABABA, 31 January 2017 – 48 million children living through some of the world’s worst conflicts and other humanitarian emergencies will benefit from UNICEF’s 2017 appeal, which was launched today. From Syria to Yemen and Iraq, from South Sudan to Nigeria, children are under direct attack, their homes, schools and communities in ruins, their hopes and futures hanging in the balance. In total, almost one in four of the world’s children live in a country affected by conflict or disaster. “In country after country, war, natural disaster and climate change are driving ever more children from their homes, exposing them to violence, disease and exploitation,” said UNICEF Director of Emergency Programmes, Manuel Fontaine. 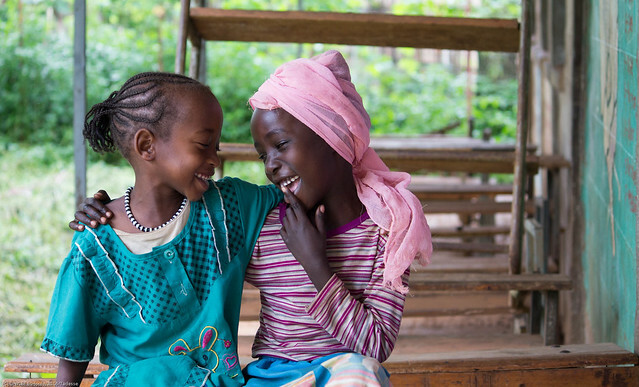 UNICEF’s Humanitarian Action for Children sets out the agency’s 2017 appeal totaling $3.3 billion, and its goals in providing children with access to safe water, nutrition, education, health and protection in 48 countries across the globe. An estimated 7.5 million children will face severe acute malnutrition across the majority of appeal countries, including almost half a million each in northeast Nigeria and Yemen. The largest single component of the appeal is for children and families caught up in the Syria conflict, soon to enter its seventh year. UNICEF is seeking a total of $1.4 billion to support Syrian children inside Syria and those living as refugees in neighbouring countries. 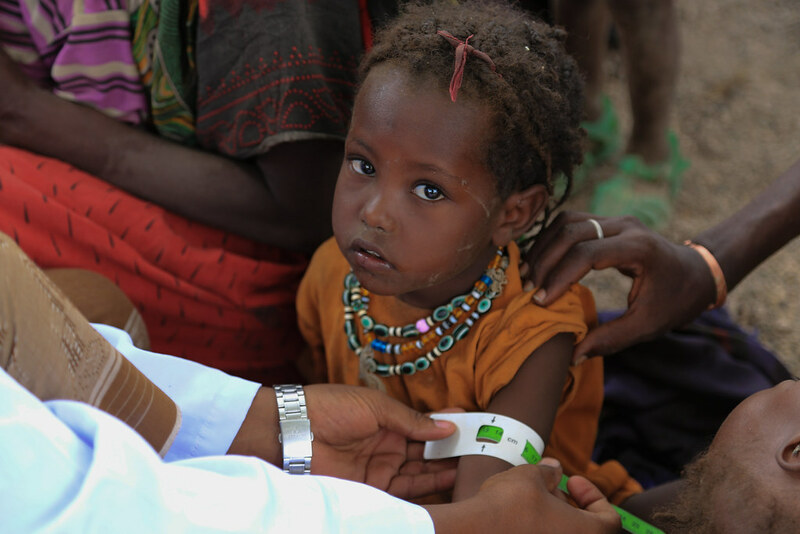 Treating 3.1 million children with severe acute malnutrition. 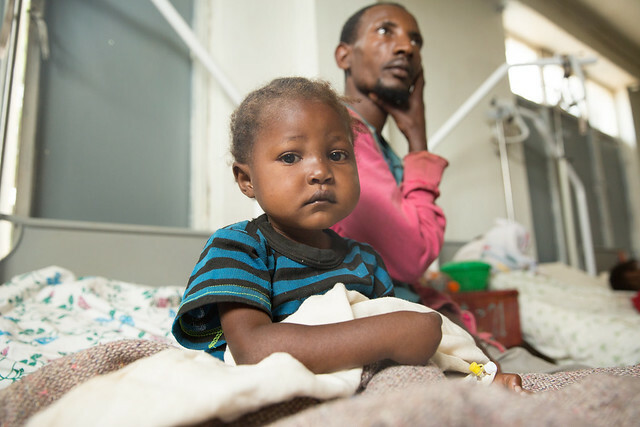 2.2 million children were treated for severe acute malnutrition. UNICEF Ethiopia’s 2017 Humanitarian Appeal for Children (HAC) is for US$110.5 million, which includes US$17.3 million required to provide assistance to refugees. 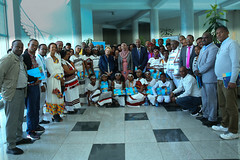 Together with the Government of Ethiopia and humanitarian partners, UNICEF Ethiopia aims to reach 9.2 million children and their families with access to safe water and hygiene, nutrition, health and protection services and give hope for the future by providing education in emergencies. While the funding will be critical to UNICEF’s ability to respond to immediate needs, it will also be used to take appropriate action to strengthen preparedness, improve early warning systems and reduce vulnerability as well as contribute to more resilient communities. In 2016, UNICEF raised US$108.7 million to provide around 7 million children and their families with life-saving humanitarian assistance to mitigate the impact of the El Niño-induced drought. With severe water shortages, malnutrition and disease outbreaks, the anticipated humanitarian need in 2017 has reduced only slightly, from 9.7 to 9.2 million people. Though an adequate 2016 ‘kiremt’ rainy season was recorded in many areas of the country, drought conditions and residual effects from the El Niño emergency continue to cause water shortages, malnutrition, disease outbreaks and related protection and education issues, including the closure of hundreds of schools in drought-affected areas. A new drought expanding across the lowland areas in the Horn of Africa, induced by another weather phenomena, the Indian Ocean Dipole (IOD), is further exacerbating humanitarian needs in the south and south eastern regions of Afar and Somali, as well as parts of Oromia and SNNP. Neighbouring country Somalia is also severely affected, causing 1,325 refugees crossing into the Ethiopian Somali region in the first 17 days of January. Ethiopia is already one of the top refugee-hosting countries in Africa, with 783,401 refugees as of November 2016 hailing from South Sudan, Somalia, Eritrea and Sudan. Mengi-Benishangul Gumuz- Ethiopia 28 September 2016 – In one of the classes at Mengi Elementary School, in the Benishangul-Gumuz region of Ethiopia, Edidal Abdulkerim, six, and her friends sing about the five senses with melodious tone along with a small tape recorder. Before the next song starts, their teacher Abdulaziz Ahmed asks questions to make sure that the children got the message right. The children are learning with stories, plays and songs and the expression on their faces says it all. This is their first ever school experience at the age six and seven. Perhaps, just before their critical age of learning passed by. Edidal, is one of the 30 students in Mengi Elementary School who are enrolled in an eight week education programme – during a summer break- called Accelerated School Readiness (ASR). This new programme is designed to prepare rural children, who have not had the chance to attend any form of early childhood education, for primary education by helping them develop cognitive, behavioural as well as foundational ‘pre’ academic skills. ASR offers 160-hours of pre-literacy and pre-numeracy learning and helps children to develop social skills. It is an interim strategy which helps children aged between six and seven make a successful transition from home to school while formal pre-primary classes are gradually introduced across the country. A daunting task of ensuring quality remains ahead despite Ethiopia’s significant achievement in expanding access to primary education. There are quite a number of children in early primary classes who do not acquire the minimum expected level of skills. And the numbers are alarming. The average mean score for reading skills in grade 4 for instance is found to be only 45 per cent, which is below the minimum passing mark of 50, set in the education policy. And this statistics even goes lower in remote rural villages such as Mengi. 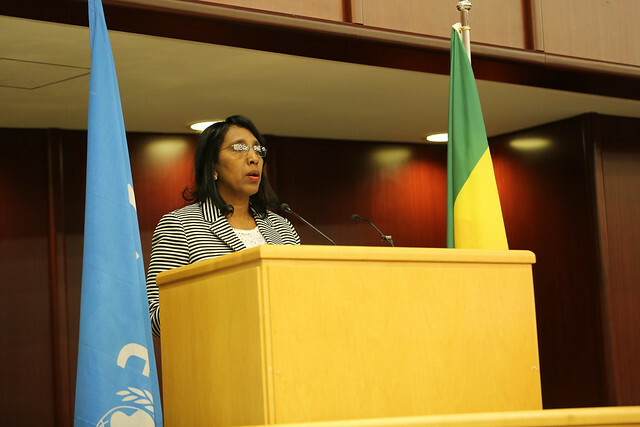 “There are many reasons which can explain this poor performance of children in rural Ethiopia,” says Maekelech Gidey, UNICEF Education Specialist “But the main one has to do with school readiness”. The country lacks adequate pre-school facilities where children can be supported and encouraged to better understand their environment and develop skills, which are vital for success in school and later in their lives. 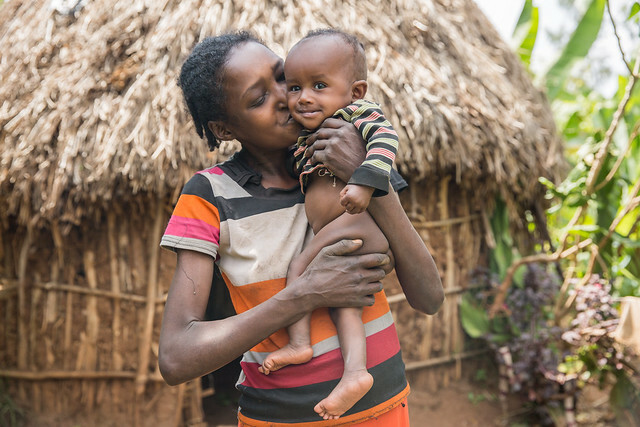 It is only 48 per cent of Ethiopia’s 7.7 million children aged between three and six who have access to early learning, and many young children, especially rural girls like Edidal, were not part of this statistics. 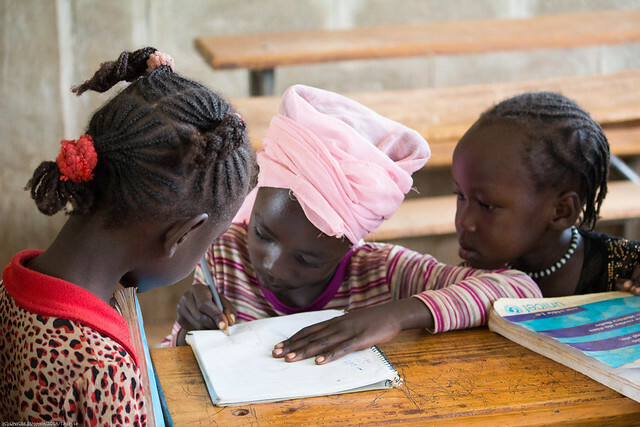 Children who start their formal primary schooling on weak early childhood learning are more likely to fall behind their peers and consequently drop out of school too early. 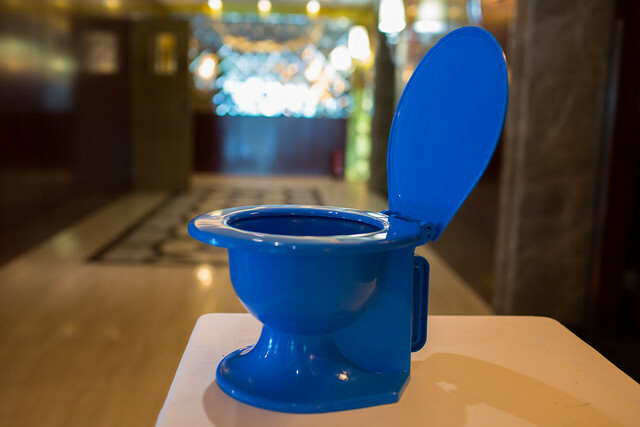 It is this challenge that prompted the development of the ASR initiative. 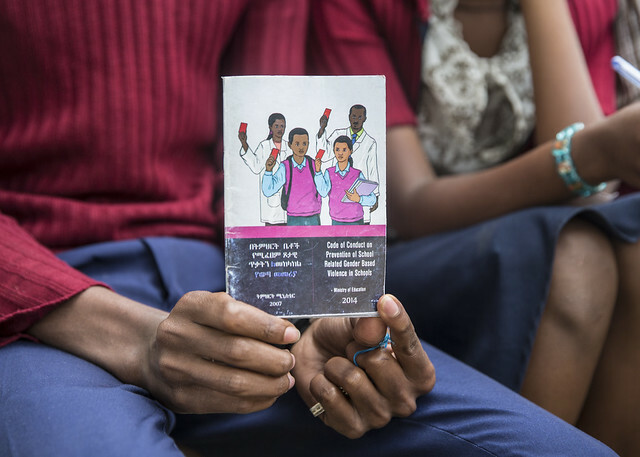 In 2015 the programme was introduced and piloted in the Benishangul-Gumuz region after designing a well fitted curriculum and training of teachers. First, teachers and community leaders identify the village children in the month of May each year. If the nearby schools have O classes already, then the children will be enrolled for eight weeks in the month of July and August. Otherwise, they will undergo the same programme during the first two month of the academic year in Grade 1. For the ASR to succeed, it needs a dedicated teacher like Abdulaziz and the children have to attend the programme regularly. Missing even a single day of class means missing a lot in the programme. It looks like old habits do not go away easily. The perception of parents towards the education of their daughters still needs to be worked on. “Boys attend the programme more regularly than girls,” says Abdulaziz. “Yet my best performing students are girls,” he added pointing towards Edidal and Intizar. Edidal and Intizar will be entering Grade 1 in the coming academic year with a solid base. The combination of play and learning activities of the ASR have inculcated the children with the necessary pre-school skills that they need to succeed further. A preliminary assessment on the impact of the ASR has revealed that, the programme is effective in having children acquire pre-school skills in mathematics and literacy. This is a good news for experts from the region’s education bureau and UNICEF who have been working on the programme since its inception. The ASR experience in the Benishangul-Gumuz region is also extended to Oromia region based on its cost effectiveness and impact. While Edidal wants to become a teacher, Intizar’s dream is to be a doctor. There is still a long way to go until the young girls’ dreams are a reality. Yet, for now, the foundation of their future is laid on fertile grounds.